Italian artist Paolo Cirio, globally active with his hacker actions, is today the author of Loophole for All (2013), a model for the democratic redistribution of offshore tax havens such as those available in the Cayman Islands. This project is part of the «Unstable Territories» exhibition curated by Franziska Nori and Walter Guadagnini on view at Florence’s Strozzina Centre for Contemporary Culture, featuring a series of works by international artists which illustrate modern changes in perception of territory and its increasingly unsteady nature. The ‘Unstable Territory’ exhibition explores these issues by presenting the work of artists who have contrasting attitudes and ways of life and express different ideas on the unstable relationship between identities, territories and borders, at a time of enormous expectation (and illusion) of a borderless society, a shared global territory. The exhibition proposes a series of unique reflections on the idea of the frontier as a place of discovery or as a barrier, on the coexistence of cosmopolitanism and territorial claims, on the very role of the artist as a traveler, a nomad or an experimenter of possible new models». Paolo Cirio has always used his artistic quest to personify the experimenter of possible models. He is active in a dimension that bounces back and forth between art, politics, communication and economy. 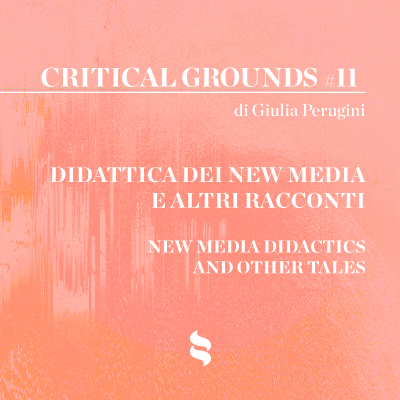 Cirio also works within the framework of an exchange between the physical and digital world where he carries out his artistic exploration with the intent of exposing the bogus mechanisms of global politics and economy to create new «democratic» models. In 2005, with Alessandro Ludovico and Ubemorgen.com, he realized Google will Eat Itself. This project entailed buying Google shares with Google’s own money and means. The hijacking resulted in this colossal company being forced to commit an act of «self-cannibalism.» They generated money by serving Google advertisements on a network of hidden websites thus enabling them to automatically acquire shares which they in turn served to GTTP – Google to People Public Company to redistribute them to the network. 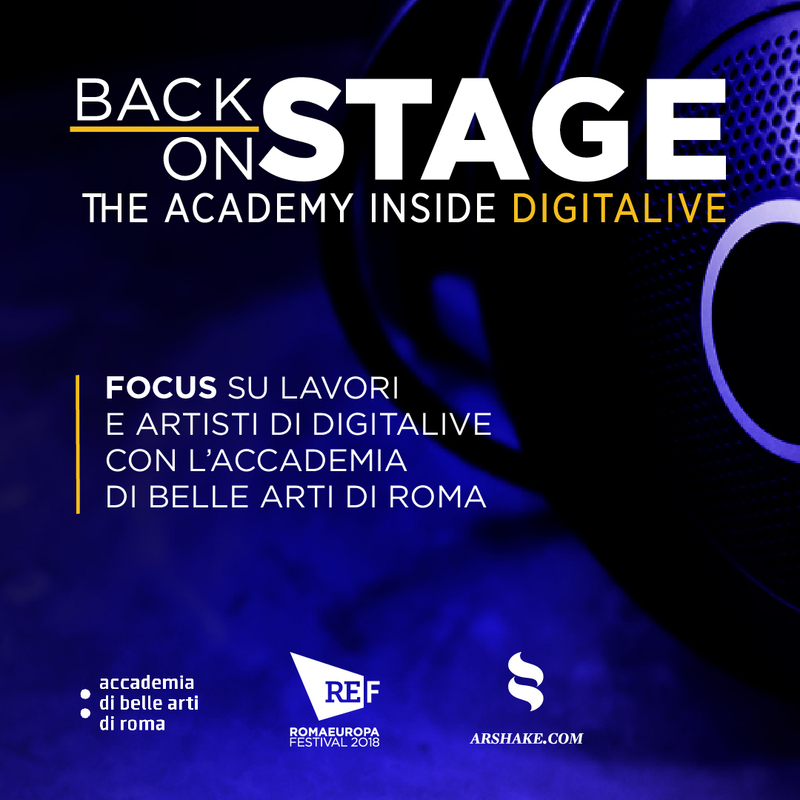 We then see Paolo Cirio and Alessandro Ludovico together again for Face to Facebook, a «Global Mass Media Hack Performance», as defined by the perpetrators themselves. One million profiles were «stolen» from Facebook and then filtered with face-recognition software and «released» on the Lovely-Faces.com website based upon facial expression affinities. The many threats from Facebook to take legal action were practically a conquest in demonstrating of what exactly regulates a platform upon which we believe we are moving freely. Loophole for All is another of his irreverent actions. 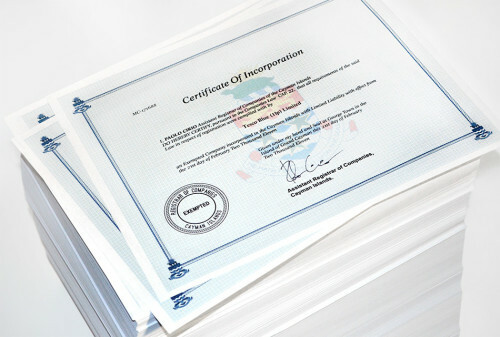 As mentioned above, this time the purpose was to enable everyone to take advantage of the tax haven at the Cayman Islands with an opportunity to steal the identities of one of the 200,00 island-based companies and carry out transactions that – although not exactly legal – are not pursuable by law. After having opened a limited liability company in his name in London, Paolo Cirio created a website on which it is possible to access a list of the island’s fiscally registered companies. At this point, he sells a certificate for 99 cents authorizing the visitor to invoice using the name of a company chosen from the list. A cross comment to global economy for the «democratization of offshore market privileges» and to the authoriality of the artist as well as to the art market – if it’s true that each document sold is printed out and certified (with date and signature!) – as a work of art. 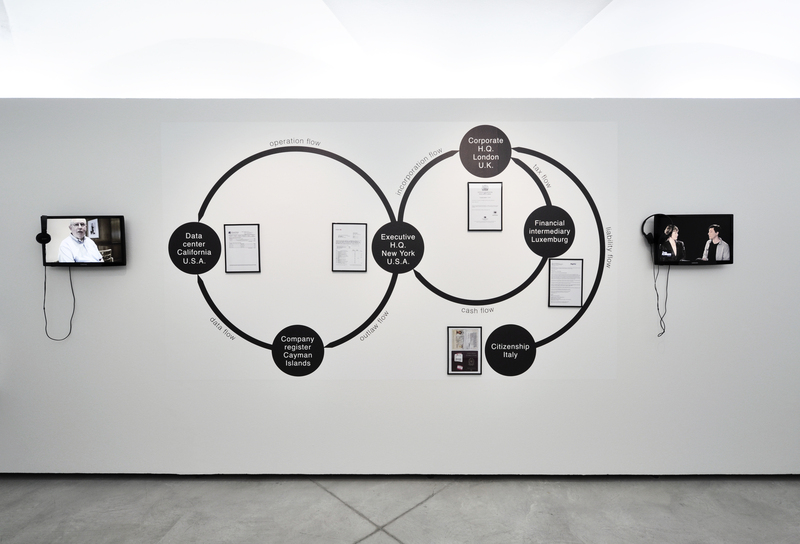 In the «Unstable Territory» exhibit, Loophole for All is placed both inside and outside the territory of economic relations and norms. «Unstable Territory», as a work and as an exhibition, opens our eyes to what is truly surrounding us today: materialized in forms and formulas that remain invisible to us until something – art, in this case – reveals what is really going on backstage and opens a portal of awareness, a powerful weapon for re-conquering our world. Artist: Kader Attia, Zanny Begg & Oliver Ressler, Adam Broomberg & Oliver Chanarin, Paolo Cirio, Tadashi Kawamata, Sigalit Landau, Richard Mosse, Paulo Nazareth, Jo Ractliffe, The Cool Couple. Immagini ||| Paolo Cirio, Loophole 4 all, 2013, Mixed media installation, Exhibition view «Territori instabili», CCC Strozzina, Palazzo Strozzi, Firenze, Photo: Martino Margheri.